Staring at a blank screen when you sit down to write your missionary newsletter? Try out these time-tested tips to make updating your supporters a joy. This is part one of two-part series on missionary newsletters. 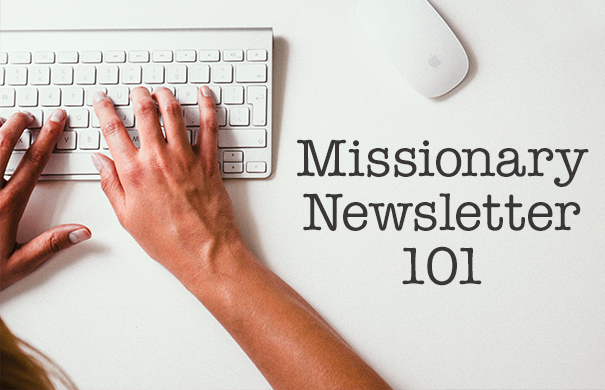 Read part two, “How to Design a Beautiful Missionary Newsletter,” here. It was the kind of moment every ministry worker on a support trip looks forward to: The woman shared how excited she always got to see my blue newsletter envelope in the mail. Then she took me to the church sanctuary and told her friend, You’ve got to meet Beth. She’s been to Asia and Africa and all over the place! It was great. Except that I’d been to Asia once, my missions organization didn’t send people to Africa and, as a home staff copywriter, I did all my work from a cubicle near Dallas. Getting people to read your missionary newsletter can be tricky. Getting them to remember what they read can be even harder. But in the world of missions and writing, there are a few time-tested tricks that can help your newsletter do both. Today, in hope of sparing you the awkwardness I once faced, we’re sharing our top ten. 1. Write down ideas throughout the month. This simple tip fixes a plethora of ministry newsletter hassles. No more hastily throwing together updates because you put it off, because you didn’t have time, because you couldn’t think of what to write. No more hemming and hawing at the beginning (“It’s been so long time since I last wrote, and it’s hard to even know where to start. …”). Keeping a simple log as events happen and thoughts come to mind will help you jump into writing with ease. 2. Be specific about what you’re doing. One of the most engaging ways to be specific? Share a story. The truth is, people don’t connect with numbers, lists or schedules. People connect with people. So rather than listing neighbors you’ve talked to, describe an interaction with one of them: where you were, who they are, pieces of the dialogue, how the relationship has been building. Not only will a story be far more memorable, but it will also give readers something to share with others, and it will help them understand your ministry in a more practical way. No longer are you just sharing missions theory; they’re getting to see how things actually work. 4. Balance personal and ministry news. As you share ministry stories, be sure to throw in one about your personal life. Yes, people support you to fill a ministry role. But they also support you because, at some point, they decided they like you as a person. So let them know how you are doing. Are you making friends? Have you been sick? How are the kids doing in school? Even if you never hear the same news back from them, they will feel like they know you better, and that connection will encourage long-term, heartfelt support. 5. Don’t preach, but share. Working in ministry and living in an unfamiliar setting, you will learn a lot. And it’s natural that you’ll want to share that. But be careful about how you do it. People generally don’t respond well to preaching, but they are open to hearing about your personal experiences of growth. When you want to share something you’ve learned, imagine sitting down for coffee with a good friend. What anecdotes or struggles would you share? What weakness would you admit you still have? How would you ask for prayer? How would you invite them into the conversation? Preaching tells others they still have a ways to go. Sharing invites others to journey and grow with you. Missionaries face a lot of pressure to be perfect, but you don’t have to add to it by only sharing your triumphs. In fact, sharing only the good times can be immobilizing for a support team. How do you pray for someone with no problems? How do you encourage someone who’s never had a bad day? Why send extra money to someone with no needs? Remember that you are writing to a group of people who chose to support you. Give them the chance to do their job well. Part of letting supporters do their job well means updating them on what you wrote before. Make a note of what prayer requests you’re sharing so you can update readers later. When you share a story about someone, look for opportunities to share a sequel. Doing so will keep people from feeling like they’re praying into a void and will make them look forward to future letters. Even within individual letters, you can aid your readers by summing up main prayer requests in call-out boxes. The more often you write, the easier this becomes because you know you’ll have future opportunities to communicate. You may have a lot to share, but fire-hosing your supporters can unintentionally sway them from reading any of it. In our fast-moving world, people are intimidated by long blocks of text. So break things up into short, digestible sections. Use bullet points. Use subheadings. Limit your word count on each subject. It may seem like you’re getting to say less, but your supporters will read more. 9. Make your captions count. It may be unfair, but after all the work you put into your letter, some people will only read your photo captions. Don’t waste them. Instead of listing names of people in a picture, write a full-sentence caption that describes who the whole group is and what they’re doing. At bare minimum, a good caption gives people a hint at what you’re doing. At best, it pulls skimmers into the rest of the story. Either way, you and your supporters win. If you look over your newsletter and you haven’t thanked your supporters in some way, you aren’t done writing. Very few missionary supporters are in danger of being over-thanked, and it’s easy for them to lose sight of how much your work depends on them. Thank them often, and tell them why you’re thankful. Let your supporters know as much as you can that they are more than a paycheck to you. Make them feel appreciated, and they will appreciate you even more. At the end of the day, remember why you’re writing to these people: They care about you, and they want to be part of your work. Your newsletter is all about letting them do that in the best — and most informed — way possible. Happy writing! If you’re still hungry for more tips, check our follow-up post on newsletter design and them follow our Pinterest board for even more missions resources. I’m so glad, Annie! Good luck on that second newsletter! Question: A missionary newsletter can go out to both financial supporters and prayer partners, yes? Is it advisable to have a call-to-action (request for financial support) at the end of every newsletter? In case the prayer supporters decide they want to give? How can this best be achieved? Thanks for your questions, Diego! Yes, a newsletter should go to anyone who supports your missionary journey, whether financially, through prayer or both. And generally, my advice is to space out requests for funds, unless there’s a time-sensitive, specific need. Frequent requests feel reasonable on the missionary end — because you really do need that money — but they tend to bog down supporters. If they’re already giving or they simply can’t give, every newsletter can easily become a guilt trip. It’s important to ask yourself if you’re giving your supporters time to celebrate how God IS providing and working. If you’re not sure, I would ask a few close, trusted supporters. 1. Always have your contact information, including your giving information, in your newsletter. You never know when God is going to guide someone to give. 2. Remember that not every request has to be overt. Sometimes you’ll insert a pie chart with a direct ask. Sometimes, you might just ask people to pray that God will fill in that last bit of support. Sometimes you’ll mention it as something celebratory (“God provided $500, which means I’ve almost reached my goal!”). Variety will make requests less cumbersome and will let readers feel like they’re a part of your journey, rather than just some convenient sources of income. Thank you so much for sharing! My husband and I are church planters/missionaries in NYC. Our home church doesn’t have the means to support us financially so we are praying that God would provide in other ways. Any suggestions on how to raise financial support? First of all, let me say thank you for your work in NYC. That’s really awesome, Meghan! 1. Your church might not be able to support you, but I would still share the vision with individuals at your church and with other friends who don’t go to your home church. You can start with a support letter (https://team.org/blog/how-to-write-support-letter/) that explains what you’re doing and then ask if you can get together to share more about the vision. If you can, taking a support trip to share in person is great. If not, share with them over the phone or Skype. As you share, you want the focus to be on the people you’re serving — what are their stories? What are their needs? How can your supporters help meet those needs? Help your supporters make a connection with the people you’re serving so they feel like they will be part of the actual ministry, not just people funding the ministry. 2. During every meeting, I would also ask if they know anyone else who might be interested in your work. If they say yes, ask to talk with those people. The best thing is to have your mutual friend introduce you to new contacts, but it can also work to just call and say, “So-and-so said you’d like to hear about this ministry.” You can also give friends extras of your prayer cards to give to other people. This can all feel awkward, but it keeps you from running out of contacts. And with each new layer of contacts, you’re closer to finding the ones who will become your supporters. 3. Speaking of finding new contacts, ask your friends if you can speak at their Bible studies and churches. Some supporters might even be willing to hold open houses or other events for you to share at. These things get you in front of a lot of new people but with an endorsement from someone they know. We have a super helpful piece on public speaking, if you need it: https://team.org/blog/public-speaking-tips-for-missionaries/. Obviously, there’s a ton that could be said about raising support, but I hope this was helpful! Maybe in the future we’ll do a bigger piece on this topic. 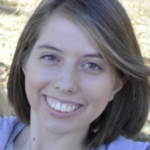 Hi Bethany, I am so thankful to the Lords that I passed on these blog. My husband and I is pastoring a community church here in Valenzuela City, Philippines. World of Grace Christian Ministries International (https://www.facebook.com/World-of-Grace_Youth-Group-306973019351113/?ref=bookmarks) I used to have a job before to support the church and the needs of the family, and at the same time is also helping my husband in the church. But last March I had to resign and help my husband to be a full time pastor who handles our young people. Now, the dilemma is, because most of our church members are meager earners and students have a hard time in supporting the church programs and its needs. Some of which are Campus Ministry, Cell Groups, Harvest Events, Missions, Pastors and Workers Allowances and the monthly rentals of the place. I would like to ask support to some of my Christian Friends and other organization, but don’t know how to begin with. Hope you can send me some templates and ideas and also contacts if possible to help our church. I would appreciate your help and may the Lord bless you. That sounds like exciting work! Raising support is hard, but we do have some resources for it. I’d start out with writing a support letter and sending that to the people you’d like to talk to. Here are some tips. Make sure you follow up with them by phone or in person (or both). Once you start raising support, we have a great template to help you track contact information, what steps you’ve taken with each person and graphs of how much you’ve raised so far. And then once supporters start joining your team, you should check out this post for tips on how to stay in touch with them and keep them in the loop on your ministry. I hope that helps! May God bless you in your work for Him!